What’s it like when you remember a moment in time when you read a book or an article that made your heart sing? There was something about the writing that touched something deep inside and inspired you to view the world from a different perspective. Inspirational writing is something every writer is capable of. Yes, that means you, too. It’s all about tapping into the energy inside of you that’s just waiting to come out. I’ve found a way to do that in my writing, and that’s exactly what I’ll share with you today as you keep reading. So let’s dive right in, shall we? The first step is to find a topic that you’re passionate about and that sets your soul on fire, because what you feel about what you write will come through in your articles. I’ve found that the more passionate I am about anything in life, the more I attract just the right circumstances for success, and the people that I bump into are affected just by being near me. When you have a topic that you are interested in, or even passionate about, you still have to capture those moments of inspiration. This could mean figuring out at what time during the day you produce your best work. For me, it is before noon, and during midnight. You might also want to carry a notepad with you during the day, so you can capture any inspiration that comes to you. When you begin to write from your heart, you have to allow yourself to trust that whatever is coming out is supposed to come out. Now, this doesn’t mean that you publish every article you write. It just means that you tune into your inspiration, and you let it come out in whatever way it comes out. When you trust, you flow. The best way to get into flow, and the writing zone, is to do a brain dump whenever you’re writing. Basically, what I do is I begin by coming up with the headline for my article, then I outline the article as best as I can, and finally I just let the words flow out. You can call it brain dumping, free writing, or whatever you like. It is simply the act of writing your draft without editing. Everyone has a little bit of fear when it comes to publishing their writing. I know, because I’ve been there and done that. Your writing may not be perfect, and most of the time it doesn’t have to be. All your writing needs to do is convey the message that you have inside. There are people out there waiting to hear from you, and it doesn’t matter if you make a grammatical mistake here or there. Live life boldly and constantly seek new experiences both internally and externally. Personally, I’m in the phase in my life right now are enjoying meditating and exploring the inner workings of my mind. You may enjoy traveling, or just trying out different things in your city. It doesn’t really matter what it is, as long as you’re doing something that you enjoy. Immerse yourself in the rich amount of information that exists all around you. Read books, watch movies, or talk to other writers or friends. The more you grow, the more the neural pathways in your mind expand, which means that not only will your writing improve, so will your life. Human beings can’t stop themselves from growing, because we are naturally curious. If you aren’t, then you just haven’t allowed yourself to find a topic that you’re passionate about, yet. Have fun when you write your articles. There may be some days that you’re out of inspiration, and there may be other days where you are flooded with new ideas and when everything seems to be crystal clear. It’s not about being perfect, at least not for me. Writing for me is something I enjoy doing. It’s a way of expressing what’s inside of me to the world. Your inner critic will always be there. Its intention is always to help you, but it often gets out of hand and ends up stopping you from doing what you truly enjoy. Talk to your inner critic, and let it know that you want to trust the process and let inspiration flow. Once that’s done, the inner critic can come out and help you edit the article in the best way possible when you’ve written the first draft. Do you remember the first days when you discovered your love for writing? It may have been a time way back in the past. Or it may have been recently, if you picked up writing during your adult years. Remember why you started writing. It’s easy to get bogged down in details once you start writing and want to become better and better at it. In the end, don’t you enjoy writing and expressing yourself? And aren’t you already doing that with your writing? 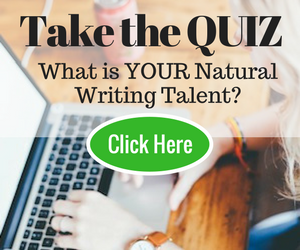 Give yourself some slack and just enjoy the amazing capabilities that you already have for writing, and you will start producing amazingly inspirational articles effortlessly. Inspirational blog ….it clears my vision thank you so much . What a lovely blog page. I’ll undoubtedly be back again. Please keep writing! thanks for this article. It is one of the most helpful articles on writing I have read so far. It looks like many of us can relate to these tips. I’ve recently found #2 to be very helpful. There are moments when you find yourself in the middle of some intense feelings. I’ve made it my point to get to my iPod (or a notebook if I’m not near anything tech related) and jot down a one sentence summary of a short story centered around that feeling. I recently found myself at a restaurant, and during a moment of inspiration wrote the summary of a story that delved into a man reliving some lost memory incited by the smell of a childhood dish. Those moments are important to capture. I know I’m trying my best! I’ve always felt that having a passion for a particular topic will allow you to set yourself up to do whatever it is you want. If you think about it, with out the passion for it, it is very difficult to push yourself to that next level, and to continue to do it consistently. I like the article and the comments. They were all helpful to me. Thank-you for reminding me to go back to why I like writing. While I am writing I am always gaining new insights into my life and the people around me. It even is such a good coping skill for me that I don’t need to act impulsively wherever my emotions carry me because I get it all out in writing, whether it be blogging mostly my opinions, adding onto my unfinished fiction novel, or writing still more poetry. I like the fact that this article is really written out of simple wisdom, and there were good points throughout. These are all great tips. The best way to write is to build on your experiences, and you have to make sure you have them before you will have the knowledge to write about them! I find the tip #4 about trusting the flow interesting. The idea of doing a brain dumb when writing is not something I think that I have done a lot. Not going back and editing stuff could help in the writing effort. As you said, writing like that could require some trust in one’s flow. My favorite tip is experimenting with my writing. Having fun with it. Trying new things. Writing on topics I’ve never written about, and see what comes out. Writing from my life, my memories, and my learning. Writing about inspiration itself, what inspires me, what didn’t work, what does work for me. #3 is my favorite. When you trust your writing to guide your inspiration, this is when the magic happens. Self-doubt is definitely the worst crutch to any writer. It can be so easy to forget that. If we have something to say (and I believe we all do) then there are people waiting to hear that. Yup! There are always people out there that can benefit from the story you (and everyone else) has to share, and it doesn’t matter what you think of your story, because the people that will benefit are out there waiting for you to get over yourself! “Suspend fear” – this is the most important part for me. Often, I get caught up in thinking ‘what will people say if they see me writing about so-and-so’ or ‘what if someone thinks badly of me because of this story’ and I discourage myself from trying to publish my work. From now on, I’ll worry about what people will say AFTER I publish and not before! And you know, the more popular you become, the more some people won’t like your writing. It’s just a sign that you are finding your voice. It’s all about getting used to the feedback and knowing that there will always be some people that don’t like your stuff, just like you don’t particularly like some of the stuff out there, but you love other stuff! Hi Henri! Truly this is one of the most inspiring articles about writing that I’ve read. Your ideas are simple and natural, yet many of us don’t realize them. Reading your article didn’t only make me think about writing, but even about life itself. Writing is about life and if you don’t know how to take things slow, you fail to appreciate anything. Oftentimes, most writers get so caught up with being successful that they tend to just think, think, and think without feeling the things around. We sometimes forget that the best things in life aren’t captured by the mind, but by the heart 🙂 Happy writing everyone! I couldn’t agree more! The heart is the foundation for happiness, at least in my experience. Everything we do translates into everything else. The way you write affects the way you live, so you might as well enjoy every part of it! Yup. I couldn’t agree with you more on that. It’s easy to lose sight of what’s truly important! Great tips! Especially the “remember why you write” tip; I think a lot of writers, as they begin, forget this one very important aspect when transitioning from their current career to writing–they focus so much on rushing through the process of becoming successful, they end up setting themselves back in the long run.